Our Earth/Space Science Education graduates teach at the middle, junior high, and high school levels. You’ll learn how to effectively engage students while receiving a science-focused specialization that few programs can boast. With a student-focused approach to teaching that integrates multiple teaching methods, use of technology, and outcome assessment, you’ll emerge from our program ready to teach the earth and space sciences to multiple school levels. Highlighted information about the Earth Space/Science Education undergraduate degree, as well as general career information, can be found here. 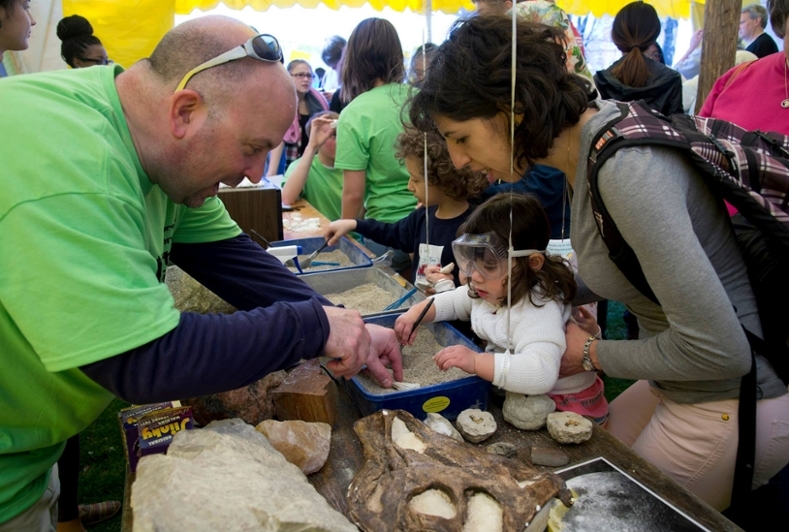 In addition to following the degree plan of study, students are encouraged to participate in Purdue College of Science outreach activities, as well as EAPS K-12 outreach events. EAPS provides various outreach programs to teachers and educators in Central Indiana. Created for the advancement of Earth Science Education at all levels. We provide K-12 science and mathematics professional development programs for teachers, form long term partnerships with school districts, and present activities for students.